Traducer, a miler with an indifferent race record in England, began his stud career in New Zealand when Maoris and European settlers were still skirmishing over land, and when some pastoralists who would become wealthy racing supporters were still living in primitive huts. By the time Traducer died, many times over the sire of outstanding distance runners in both New Zealand and Australia, the country had established the infrastructure of its modern state, and horse racing and breeding had become established institutions where Traducer's grandchildren made their mark. Traducer's sire, The Libel, by the Castrel son Pantaloon, was reputedly an evil-tempered racehorse and stallion. He had been raced by A.W. Hill of Berkshire, better known as the owner of the unbeaten three-year-old Sweetmeat, a contemporary of The Libel's, and, like him, a Byerley Turk sire line descendant. In the stud, Sweetmeat's line continued through his good sire sons Macaroni and Parmesan, and in Australia through Muscovado. The Libel's lasting influence was limited primarily to a few good daughters...except for Traducer. As a three-year-old The Libel ran seven times. His first recorded outing was the St. Leger at Chester, which he won. He next started in the Epsom Derby, where there was a ruckus when the field of 31 horses failed to line up. Depending on the account, either the favorite, Alarm (by Venison), agitated, kicked The Libel (starting third favorite), who then reared up and knocked Alarm's jockey, Ned Flatman, off his horse, which then bolted, or The Libel instigated the fuss by attempting to savage Alarm, rearing up on him and knocking Flatman off. In any case, Flatman ended up on the ground, Alarm tangled in the chains, then bolted and was finally caught, and the race was an hour late in starting. The Merry Monarch won that race, with The Libel and the injured Alarm unplaced. The Libel next ran at Ascot. He won Ascot's Trial Stakes over a mile, and then, the same day, placed second to his stablemate Sweetmeat in the two mile Ascot Gold Vase. Two days later he took the Visitors' Plate handicap. He ran unplaced in the Goodwood Stakes six weeks later, and in August he paid forfeit in a match at York. That was the sum of his career on the turf. He could clearly go a distance and was game enough to run well in two challenging races on the same day, but either physical problems or his temper prevented him from training on. As a stallion The Libel got a classy filly in Bribery, winner of five races, including the Goodwood Stakes and the Grand Stand Plate at Brighton in 1854, and third in the Oaks to Mincemeat (daughter of Sweetmeat) and Meteora. She was later the dam of St. Albans, another ill-tempered, but good, stayer (winner of the Great Metrpolitan Stakes, Newmarket Stakes, Chester Cup, Doncaster St. Leger) that later sired the speedy Springfield, grandsire of two English Triple Crown winners. Bribery was also the dam of Savernake, runner-up in both the Derby and the Doncaster St. Leger, later a successful sire in Germany. The Libel got another good filly in Truth, winner of the 1851 Cambridgeshire Handicap Stakes; she was later second dam of the 1886 Grand National Steeplechase winner Old Joe. The Libel's daughter Scandal (1855, from Tirana by Inheritor) was imported into Australia by E.K. Cox, where as a foundation mare in the Widden Stud of John Thompson, she bred the filly Keepsake (1869, by Yattendon), taproot of a great family of winners in Australia. In 1857 The Libel was a stallion at the famous Sledmere Stud of Sir Tatton Sykes in Yorkshire, standing with the horses Daniel O'Rourke, a Derby winner, and Rifleman (winner of the Great Yorkshire Stakes, second to Saucebox in the 1853 St. Leger). His fee at the time was 10 guineas, the same as Daniel O'Rourke, and five less than Rifleman, the latter sold in 1861 to Russia, dying enroute after breaking a leg. At Sledmere The Libel got the four-mile specialist The Lawyer (1858, out of a mare (HB Family - 25) by the Sultan son, Hampton), a half-bred colt that won thirty races in England and Ireland, including the Railway Stakes, the Wolverhampton Stakes, and fifteen Queen's Plates, and later became noted as a sire of steeplechasers, including the 1881 Aintree Grand National Steeplechase winner Woodbrook. Traducer was the thirteenth foal out of Arethusa, an unraced daughter of Doncaster St. Leger winner Elis, who got some good-running daughters, including Craven and Goodwood Stakes winner Lucy Banks. Arethusa had been bred by a Mr. Bristow from Languid (1831, by Cain), a sister to Languish, whose daughter, the tiny Ghuznee, was undefeated at age three, winning the Oaks and Ascot's Coronation Stakes, and later the founding mare of a good branch of Family 20 - a. Arethusa's best offspring of fourteen foals that survived was the good stayer Fernhill (1845, by Ascot), a winner of Epsom's 2-1/4 mile Great Metropolitan Handicap, and a close second to both The Hero (by a neck) in the Great Ebor Handicap of 1849 and to Snowstorm (by a head) in the Great Yorkshire Handicap. In 1849 Arethusa passed into the hands of Lord William Powlett, and then, in 1856-57, was sold to Zacahriah Simpson, a banker who owned the Diss Stud, near Roydon, in Norfolk. Simpson, according to trainer William Day, "...dissipated his wealth in a boundless vanity, without profit either to others or himself...Inattention to the concerns of the [bank] was alone the cause of his losing thousands a year." Horses bred at Diss included the half-bred Petra (HB Family 10), winner of the Liverpool Autumn Cup and other good races, and Flying Duchess, the dam of Galopin. A succession of stallions stood at Diss, including the good winners Tadmor (dam's sire of Hermit) and Flatcatcher, and dual Doncaster Cup winner Vedette, the sire of Galopin and Speculum and a number of tough, tireless hunters. It is possible The Libel was at Diss in 1856, prior to his taking up residence at Sledmere. In 1857 Arethusa dropped her blaze-faced brown colt, Traducer, who grew to reach 16 hands. According to Day, it was Simpson's habit to train the yearlings he did not sell, or give them to trainers "...for a share of their winnings, should they prove successful." This was the case with Traducer, who ran in William Day's name until the fall of his three-year-old season, when he was sold. Day was a son of the famous/notorious trainer "Honest John" Barham Day, who had been a moderately successful jockey for the Duke of Grafton, riding three classic winners for him. John Day Snr. trained horses for Lord George Bentinck (notably Crucifix), and after falling out with Bentinck, for the money lender Henry Padwick, with whom he also parted company. The extended Day family, which included William and his brother, John Day Jnr., a successful jockey and trainer of a dozen classic winners, were involved in numerous betting coups and manipulations in the mid-nineteenth century, many of them hatched at the senior John Day's stables near Stockbridge; the "Danebury Conspiracy" was a popular sobriquet for the owners and trainers involved in these questionable racing-betting practices. Danebury was the senior Day's training venue at Stockbridge. William Day, at the time Traducer was born, was training horses at Woodyates in Wiltshire; his classic successes were Two Thousand Guineas winners Lord of the Isles (1855) and The Promised Land (1859), and Oaks winner Brigantine (1869), and later he also trained American J.R. Keene's Foxhall, winner of the Cambridgeshire-Cesarewitch double in 1881 and the Grand Prix de Paris. Day stated in his Reminiscences that Traducer "was a good horse," and went on to state, in a familiar trainer's lament, that if Traducer had been born a year earlier, and had run in The Promised Land's Two Thousand Guineas of 1859, he would have won the race, given there was "nothing better to beat than Cynricus." But that, he said, "shows, indeed, how much luck there is in having to meet good and bad horses." Traducer ran twice as a juvenile, in Ascot's New Stakes (won by Rupee, 20 starters), and Goodwood's Nursery Stakes Handicap (1 mile), and was unplaced in both outings. At age three he started in the five-furlong Earl Spencer's Place handicap at Northampton, running third, two lengths behind the filly Fravola, who beat the colt Hartley-Whitney by a head in a field of 13. Then he went to Newmarket, where he placed third in a field of fifteen, in the Two Thousand Guineas to The Wizard, with The Wizard's stablemate, The Rap, second. In the Guineas Traducer, "looking light and short," went off at odds of 6:1, third favorite to Lupullus and Tom Bowline, based on a trial he had run against The Promised Land over a mile, beating him by a head carrying 16 lbs. more (a few days after the Guineas, The Land won Epsom's Walton Stakes). Just prior to the race, American boxer Johnnie Heenan, aka Benicia Boy, sauntered onto the course, "the jockeys seemed to look quite as much at him as the starter," seated himself on the chain standards, and "demanded from Teddy Sharpe [Traducer's jockey] a candid opinion as to Traducer's chance, when he caused them all a false start." There is no record of Sharpe's response. In the race, Traducer made the running on the whip at a slow pace, with The Wizard and The Rap slowly gaining until the horses reached the dip, when The Wizard, a horse Day called "extraordinary good at the distance," surged ahead to win by three lengths, with The Rap half a length ahead of Traducer. Backed off to six furlongs the next month in the Wynnstay Handicap at Chester, in a field of seven, he won easily by a length, never headed; in the field was Comforter, who later won the City and Suburban Handicap by twenty lengths. It was his only win. Traducer was then sold to Lord William Powlett for £1500. Powlett was a one-time owner of Traducer's dam, Arethusa; his best horse was the little two-time winner of the Grand National Steeplechase, The Lamb. In August, in the Whitley Stakes handicap at Reading over a mile, Traducer ran unplaced. The earl had had similar bad luck with another Day-owned and trained horse, the 1859 Two Thousand Guineas winner, The Promised Land, which Powlett had purchased from Day and his partner Thomas Robinson for £2,500 after the Guineas, part of which was a trade for Powlett's filly, Dulcibella. The Land did not live up to his "promise," while Dulcibella went on to win a number of races for Day and Robinson. When Traducer reappeared in 1861, age four, it was in the ownership of bookmaker George Hodgman, and as far as can be determined, ran once, in a 5 furlong-136 yard selling plater at Ascot July meeting, where he "jumped round immediately the flag fell, and was left behind." Traducer's race record was one win, over six furlongs, and two thirds -- one in the Two Thousand Guineas Stakes -- in seven starts over three seasons. He never ran over a mile, so there is nothing in his performance to indicate he would become the sire of the best stayers in New Zealand in the 19th century, including eight winners of the 18 furlong Canterbury Cup and five winners of the 16 furlong race that would become the New Zealand Cup, not to mention nine winners of the 16 furlong Canterbury Derby (later the New Zealand Derby). Traducer arrived in New Zealand when there were very few registered thoroughbred mares available, and for most of his career he was most frequently bred to "half bred" mares of uncertain or unproven pedigrees, many of which were brought to New Zealand from Australia. It wasn't until late in his career, when more mares imported from England were in New Zealand, that he regularly covered stud book mares. But it didn't matter. His half-bred offspring won all the top races in New Zealand, and in many cases his half-bred daughters were responsible for ensuring the continuance of a number of early colonial lines that are still producing top runners. His offspring dominated racing in New Zealand in the 1870s and early '80s, and his many good broodmare daughters -- thoroughbred and half bred -- are seen in the pedigrees of winners today. In 1861 New Zealand settler Lancelot Walker and his brother, Sherbourne, went to England, probably with the intent of purchasing sheep and thoroughbred horses for his new station south of Canterbury. The Walkers had just that year purchased Four Peaks Station at Te Moana, a vast freehold and leasehold acreage owned by J.D. Lance, about ten miles inland from the small settlement of Geraldine. By the time of Walker's death in 1907, Four Peaks Station consisted of about 22,270 acres. For a little over ten years, Four Peaks, combined with the adjacent Clayton station (owned in partnership with Louis Clogstoun), ran about 40,000 Merino and half-bred Merino sheep. The Walkers paid a visit to Baron Mayer de Rothschild's Mentmore stud at Leighton Buzzard, where the baron's favorite stallion, King Tom (1851), would get five classic winners within the next ten years . There they purchased the young stallion Tom King (King Tom - DeÓopeia, later a modest broodmare sire) and the fillies Mermaid (1860, by King Tom - Waterwitch) and Tomyris (1858, King Tom - Daughter of the Star). Derby winner Teddington's yearlings Leotard (1860, by Teddington - Kitty Cut-A-Dash, later sire of New Zealand Derby and New Zealand Cup winner Flying Jib, Family C - 34) and Skybird (1860, by Teddington - Skylark), Brunette, the filly Quickstep (1860, by Vandyke, out of a Teddington mare) and Maori were added to the New Zealand-bound group. Walker also bought Traducer who had passed into the hands of Sir Thomas Barrett Lennard, a well-known sportsman who kept the South Essex pack and whose sale of hunters from his Belhaus estate was well-known, even in New Zealand. In a coincidence of good timing, Berkshire-born William Coles Webb, who had served an early apprenticeship with his stepfather, trainer Sam Scott at Winkfield and Ascot, and later briefly with John Day at Danebury, had placed an ad in Bell's Life offering his services for attending horses en route to New Zealand in exchange for passage. Webb had obtained a position with Tom Jennings, trainer for Count Frédéric de Lagrange, and had spent several years in France as head lad of Jenning's stable, when the count's horses Monarque (1852, in his last two racing seasons), Mademoiselle de Chantilly (winner of Prix de Diane and in England Epsom's Suburban Handicap in 1858) , Etoile du Nord (Prix de Diane in 1859), Ventre-Saint Gris and Black Prince (winner of Prix du Jockey Club, Grand St. Leger de France, Derby Continental and other races in 1859) were winning big races in France and England, and then briefly assisted trainer John Bains, whose client, Baron Arthur Schickler, was having some success with runners, although his most famous winners, such as Le Sancy, were still twenty years in the future. Lancelot Walker saw the ad, met with Webb in London, and hired Webb to take charge of the horses during the passage to New Zealand. On February 6, 1862, the Kensington set sail from Gravesend. First class passengers included the Walker brothers, Louis Clogstoun and his wife, and David Innes and his wife and child. Innes owned and leased a huge amount of acreage (42,000 acres, established in 1853) on the downs at Pareora, between the Pareora and Otaio Rivers, southwest of Timaru, where he ran Merino sheep in partnership with W.H. Harris. Innes had purchased a Clydesdale stallion, Lord Fergus, in England, also on board. Webb traveled in steerage. The voyage out was plagued by light winds and calms, and strong westerlies that prolonged the trip. The Kensington stopped at the Cape of Good Hope for six days, and then finally arrived at Lyttelton, well past its due date, on July 19, 182 days after it set sail. The Lyttelton Times reported the loss of one thoroughbred (Maori), due to a gale encountered between Cape Finisterre and Madera, and said otherwise all the stock, "including the sheep," were in excellent condition when the Kensington made port in New Zealand. In most local turf histories it's reported that the horses were in poor shape, due to the extended voyage, and that several times tossing the ill ones overboard "was contemplated." These stories also say Walker sold his thoroughbreds to Innes somewhere near port, when it appeared they might not survive the journey, and it has become standard lore that Traducer, who became one of New Zealand's most celebrated stallions, and Mermaid, an equally famous mare, nearly did not make it to their new home. Whatever the actual condition of the animals, Innes was the owner when they were finally unloaded, and he remained in Innes' ownership for two years. In New Zealand Webb took a job training horses for Innes' stock partner, W.H. Harris. Harris, who also owned a run at the Waihoa, was an enthusiastic Canterbury sportsman; he had imported the thoroughbred stallion Malton (by Rifleman) in 1859, and by 1862 owned the colonial mares Spray (Family C - 34) and Ada (Princess Family). Spray, purchased from Henry Redwood, would give Harris the Canterbury cup winners Storm Bird (1861, by Sledmere) and Belle of the Isle (1862, by Malton), both trained by Webb, and Traducer's crack son TEMPLETON (1870). Ada, who had won the inaugural running of the Canterbury (later New Zealand) Derby in 1860 for Harris, would produce Magenta (1863, by Malton), winner of the Canterbury Jockey Club Handicap (later the New Zealand Cup), trained by Webb. After Harris' death, as a broodmare for Webb, Ada would produce two good colts by Traducer -- Great Northern Derby winner DANEBURY and his brother, Dunedin Cup winner ADAMANT. Webb would train many other famous horses, including the great Ladybird (Colonial Family C - 26)), a two-time winner of the big Australia-New Zealand Champion Race for owner Henry Lance, who was based at Halswell. Webb soon branched out on his own, operating the Bush Inn at Riccarton and a training stable on the same property, from whence would issue a series of good runners. Webb, passing on the schooling he had received from Tom Jennings, also brought up a series of good jockeys and jockey-owner-trainers that became prominent in New Zealand racing, including Robert "Bob" Reay, Patsy Butler, Harry Goodman, and Fred Stenning, all of whom would later train Traducer offspring. While in Innes' custody, which lasted until around 1864, Traducer "was completely thrown away," and "never paid his expenses." He must have spent some time in north Canterbury at the stud of J.W. Mallock, because Traducer's first early winners, born in 1863, were bred by him. J.W. Mallock, and his brothers owned the adjacent Heathstock and Horsley Down stations, 120,000 acres of leasehold and freehold land north of Canterbury. In 1862, James D. Lance (brother to Henry), who had gone to England in 1861, after selling Four Peaks to Walker, returned to New Zealand with his new wife Mary Ann Mallock, a sister to Mallock. Lance purchased Horsley Down, and went into partnership with Mallock and his brothers in running sheep on both stations. A few years later Lance, who succeeded his brother Henry as a representative in the Canterbury Provincial Council, built a homestead at Heathstock, operating it "like an English country squire." It was Mallock who bred most of Traducer's early winners, but none of them started racing until 1867, and by then Traducer was in Wanganui, serving half-bred and non-thoroughbred mares, getting hacks, hunters and steeplechasers. Mallock had initiated the first Canterbury (later New Zealand) Derby in 1860, by putting up £50, matched by the Canterbury Jockey Club, and he would later run several Traducer offspring there with great success. But in the early years Traducer, even at a very low stud fee, did not receive much patronage, and Innes sold him at auction at Tattersall's in 1864, where he was purchased by Edward Curry for £60. Curry took him to his newly purchased Castle Hills station (in partnership with John and Charles Enys), in the Malvern district at the base of Mount Torlesse, north of Canterbury. There Traducer bred "all sorts of mares" at a low fee, reportedly £3 or £4. Curry exhibited Traducer at the Christchurch Agricultural and Pastoral Exhibition, in charge of a "drunken groom" who beat the horse. Traducer knocked the groom down "either by accident or otherwise...and in consequence was sent of the ground as a dangerous horse...this circumstance added very much to his already bad repute...and he was looked upon as a useless, savage, bad-tempered brute." Toward the end of the year Curry disposed of him for £60 to Euston Duppa, nephew of George Duppa, the latter an unpopular but successful station owner and race horse owner who had founded a huge station, St. Leonards, in the Lowry Peaks country, where his nephew worked as a cadet. Two years previously George Duppa had sold his land and sheep at a good price and returned to England to live life as a country squire. Edward Duppa set Traducer's stud fee at £5, and from a base at Christchurch, sent him north to travel the Waimakariri River region north of Christchurch several days each week. In 1865-66 he was purchased for £90 by J.W. Mallock, who by then had several promising Traducer foals from 1863 almost ready to run, and Traducer spent several years at Heathstock and Horsley Down. In 1866-67 Traducer's grey gelded son, SCANDAL (1863), won the Canterbury (later New Zealand) Derby for Mallock, and went on to win the Christchurch Plate. He was out of Mallock's thoroughbred mare, Emma, by Gil Blas (a son of Muley), bred at Thomas Icely's stud in around 1844, and imported into New Zealand from Australia. She was a grand-daughter of the great producer Flora McIvor, who herself was later brought to New Zealand by Henry Redwood. Mallock's black gelding BACKBITER (1863), was another winner; he was out of the colonial mare Gitana, by Sir Hercules (Family C - 4), and her dam, Gipsy Queen (1848) was by the first native-born thoroughbrd stallion in New Zealand, Il Barbiere. SLANDER (1863), from the colonial mare Annie Laurie (Colonial Family C - 27, by Cap-a-Pie) started winning races in the goldfields around Dunedin in this 1866-67 time period, as well. Later, SLANDER (1863, as a broodmare at William Walter's Glenora Park Stud at Papakura, from which many superior runners would emerge in the following decades, produced three good racehorses and three daughters that continued the Colonial Family C - 27. 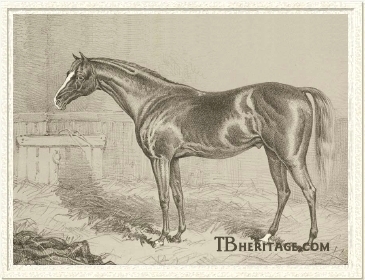 Her son Billingsgate (1876) won the Dunedin Champagne Stakes; another son, Foul Shot (1872) won the ARC Welcome Stakes, and was later exported as a stallion to Bernard Schreiber's Woodland Stud in Missouri (USA). Her daughter, Speculation (1878), won the 18 furlong Wanganui Cup, the Hawke's Bay Guineas, and other races, and bred some good winners. Another Slander daughter, Satanella (1881), produced a number of winners, including the good juvenile runner St. Paul (1893), that later won the Avondale Cup three times and big handicaps at Auckland and Wellington. By the time Traducer was installed at Heathstock and Horsley Down, Henry Lance's 1863 Canterbury (New Zealand) Derby winning "half-bred" mare Azucena (1859, Family C - 4, by Towton), was a broodmare in Mallock's stud. In 1867 she dropped ENVY to the cover of Traducer. Envy was purchased as a yearling by Stephen Nosworthy; she was the first of his big winners, taking the 1870 Canterbury Derby; she was later second dam of Remembrance (1893) winner of the 1910 Invercargill Cup. Mallock also bred his home-bred thoroughbred mare Emmeline (1858, by Sleight of Hand Junior), a winner of the Canterbury Derby, a daughter of Emma's and half-sister to SCANDAL, to Traducer in 1866. Her 1867 filly by Traducer, HATRED, was also picked up by Nosworthy as a yearling, and she won many races for him, including one mile Flying Handicap in 1873, and the Tuapeka County Handicap, at the same Tuapeka County Jockey Club meeting in the goldfield glory days. MALICE (1867), bred by Mallock from Traducer's shipmate Mermaid, also became a good winner for Nosworthy and was later dam of the fairly successful sire St. Swithin (1884, by Cadogan). NO NAME was another 1867 Traducer foal bred by Mallock, from SCANDAL'S dam, Emma. Through her daughter Lady Gertrude (1882, by Cadogan), she was tail-female ancestress of a host of good Australian and New Zealand classic winners, one of the more recent being Australian Derby winner Wonder Dancer (1985), grandson of Star Belle (1963), who won the Great Northern Derby and the New Zealand Oaks. Mallock dispersed most, but not all, of his stud in 1868-69. Stephen Nosworthy, who bought ENVY and HATRED, also obtained Traducer and some choice mares from Mallock at the same time. These included Mermaid, her daughters Waterwitch, Emmeline (dam of HATRED), and MALICE, Gitana (BACKBITER'S dam) and her Sleight-of-Hand daughter Futurity (1859), the latter in-foal to Traducer, NO NAME, and several other mares. Mallock would continue racing, in partnership with the Lance brothers, until his death in 1879. With Nosworthy and his band of mares from Mallock, Traducer really began to make a mark on New Zealand racing and breeding. Nosworthy had been born in South Devon in 1828 and had visited Auckland in 1848, but finding it "...a collection of huts on poles along the seashore," returned to England. He ventured back in 1852, and was a pastoralist on the North Island until 1860, when he was hired to manage the Rhodes brothers' Levels Station, and then George Duppa's St. Leonard's station, partially owned by George Rhodes, in the Amuri district. Nosworthy established a stud at Riccarton, where the horses were apparently relocated. When he sold his stud he took a job managing the Middle Park Stud Company in Canterbury, where SIR MODRED and other good horses by Traducer were bred. For Nosworthy Gitana produced GOSSIP (1868), CALUMNY (1869), SLANDERER (1870), and TRES DEUCE (1874), all by Traducer. Of these, CALUMNY was another Traducer offspring that won the CJC Derby, ridden by Robert "Bob" Reay, and, taken to Australia by Nosworthy, she won the six furlong VRC Newmarket Handicap in 1875. Nosworthy sold her in Australia to Samuel Gardiner, and she became a foundation broodmare at Gardiner's Bundoora Park Stud in Melbourne; the brilliant sprinter and weight-carrier Auction (1936), was a tail-female descendant of hers. Calumny's sister GOSSIP (1868), produced four good winners: Taranaki Cup and ARC Easter Handicap winner Leonara, Hawkes Bay Guineas winner Forester, Wanganui Derby winner Revoke, and Canard, winner of the New Zealand Grand National Steeplechase (4 miles). Another Calumny sister, TRES DEUCE, was bred by Nosworthy and later in the Sylvia Park Stud produced some really good runners, including the outstanding Manton, winner of the New Zealand "treble" (Canterbury (New Zealand) Derby, Canterbury Cup, and New Zealand Cup), among other races. Tres Deuce also produced Hawke's Bay Cup winner Louie, and the CJC Canterbury Welcome Stakes winner Namoa, the conduit mare through which the Colonial Family C-4 continues to the present. SLANDERER, brother to these good mares, became a stallion that got some superior stayers, including William Robinson's Grip (Canterbury Cup, CJC Jockey Club Handicap (New Zealand Cup)) and War Cry (WATC Perth Cup in Australia). DEFAMATION (1868), from Gitana's daughter, Futurity (also Family C - 4), was another Traducer daughter that won the CJC Derby Stakes (in 1871), ridden by Robert "Bob" Reay, a successful jockey that rode six winners of that race, and became an owner-trainer based in Dunedin. Another Traducer from that year's crop was DETRACTOR (1868), a brother to HATRED, from Emmeline. He won the 2 mile Canterbury Jockey Club Handicap (later the New Zealand Cup) in 1872 for his owner John Brabazon (also owner of 1892 New Zealand Oaks winner Dora). Brabazon was first a partner/settler with English philosopher Samuel Butler at Mesopotamia Station in the Canterbury highlands, and later owner of other runs near Aylesbury. In 1869 Mermaid (dam of the 1867 MALICE), Traducer's shipmate on the long voyage from England, dropped a brown filly by Traducer called LURLINE, probably New Zealand's best galloper prior to the 1880s. She was bred by Nosworthy, and was one of a number of successful Traducer-Mermaid crosses producing good runners and breeding stock. LURLINE was sold at an auction at Ilam in 1872, and purchased by a Mr. Wilkin for 60 guineas. However, when Lurline began racing at age three, she ran in Nosworthy's colors. She won the Canterbury Cup in her first outing, and probably would have won the Canterbury (New Zealand) Derby if her owner had not declared for her stablemate and crop-mate, CALUMNY, and afterwards won the Christchurch Plate. The next season she won the Canterbury Cup and the Christchurch Plate again, and the Lottery Plate, after which she was purchased by Henry Redwood ("Father of the New Zealand Turf"), and at Dunedin won the first running of the Dunedin Cup, the St. Kilda Stakes, and the DJC Handicap. In all, she won ten races in New Zealand, losing in three only because stablemates were declared by the owner. Redwood and his racing partner James Watt took her to Melbourne where she ran unsuccessfully for them, and she was sold there to Samuel Gardiner. She went on to win big races in Australia, including the Australian Cup, the Adelaide Cup, the AJC All-Aged Stakes and the AJC Plate. Lurline and Calumny at Bundoora Park Stud LURLINE and her stablemate CALUMNY were retired to Gardiner's Bundoora Park Stud in Victoria. There, to the cover of The Peer, Lurline produced Darebin (1878), an excellent racehorse that won the VRC Derby, the SAJC St. Leger, the ARC Birthday Cup and the Sydney Cup (carrying 9 st.-8lbs). He was a stallion in South Australia briefly, and spent the 1885-86 season at Alexander Gordon's The Grange, Queensland; his son, The Australian Peer was a high class runner in Australia over all distances. Bloodstock agent and author Bruce Lowe selected Darebin for Californian James Ben Ali Haggin, who paid £1750 for him, and Darebin was shipped to Haggin's Rancho del Paso in 1886. Darebin is best known in the U.S. today as the sire of Emma C., the dam of Commando, and was dam's sire of the 1900 American Grand National Steeplechase winner Philae. Other Traducer foals from Mermaid included CASTAWAY (1870), winner of the Wellington Cup and the Timaru Cup, who broke down and was put to stud, where he got the Auckland Cup and CJC Great Autumn Handicap winner Salvage (1878). Another Traducer-Mermaid colt, LE LOUP (1874), won the Canterbury Cup, the Christchurch Plate, and the CJC Canterbury Jockey Club Handicap (New Zealand Cup) in 1880 for George Stead and Lance Walker, and was taken to Australia to contest the Melbourne Cup; in that race his saddle slipped, and he had to be pulled up from an almost sure win, but later in the meeting he won the VRC Handicap. He became the sire of Dunedin Champagne Stakes and Cup winner Gipsy King (1884, from Mallock's old mare Gitana, later a good sire of hunters and hacks) and New Zealand Cup winner Wolverine (1885). Traducer was also bred to Mermaid's daughter Waterwitch (1866 by Duppa's Camden). Three good horses emerged from this cross. WATERSPRITE (1874), was the dam of CJC Derby Stakes and New Zealand Cup winner Stonyhurst (1882), later a useful sire, and tail-female ancestress of many good winners in Australia and New Zealand. NAUTILUS (1877) produced Cynisca, a superior runner that won three Wellington Cups and the CJC Welcome Stakes and Oaks, and was tail-female ancestress of stakes winners through the twentieth century. NATATOR (1875) won the CJC Champagne Stakes and Derby Stakes for English cricketer W.F. Neilson in 1878, and went on to win the CJC Metropolitan Handicap twice and the Wellington Cup, the latter in the colors of William Robinson. He was later a useful sire, his most notable offspring the great steeplechaser Moifaa, who went to England to win the 1904 Grand National Steeplechase at Aintree. He also got a sire son in Captain Webb (1888). 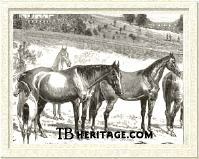 Traducer's foals of 1870 included two really good runners: MARITANA and TEMPLETON. Maritana, from Hypatia by Nutwith, another "half-bred" mare, won the Timaru Cup, the Canterbury Jockey Club Handicap (New Zealand Cup), and the Wellington Cup for her Dunedin-based owner - trainer Robert Reay. Reay had been a very successful jockey, as well, winning the Canterbury (New Zealand) Derby six times, including on Ada (dam of DANEBURY, see below), and on Traducer's daughters DEFAMATION and CALUMNY. TEMPLETON, from Belle of the Isle by Malton (Family C - 34), beat everything in Canterbury, and was taken north by his owner, Canterbury sportsman Francis Delamain, to win the inaugural running of the Auckland Cup, also winning the Grandstand Handicap and the Town Plate at the same meeting, inspiring poet Thomas Bracken to write a poem about him. He went back to Dunedin to win the Town Plate and Dunedin Cup, and then passed into the hands of MARITANA'S owner, Robert Reay, for whom he won the CJC Great Autumn Handicap, Dunedin's Queen's Plate and the Dunedin Cup a second time, and in 1878 the Canterbury Cup and the Christchurch Plate. Templeton's sister, MIRANDA (1876) bred two good winners, Enchantress (1885, winner of the Hawke's Bay Cup and Wanganui Cup) and her sister Crown Jewel (1887, winner of the Canterbury Oaks Stakes). Belle of the Isle, had won the Canterbury Cup for W.H. Harris, owner of her dam, the superior Colonial matron Spray (Family C - 34). SPIRITSAIL (1870), another member of Family C - 34, by Traducer, produced British Lion (1883), winner of the Hawke's Bay St. Leger, the CJC Metropolitan Handicap, the ARC Handicap, and, in 1891, the New Zealand Cup. Yet another member of Family C - 34 by Traducer, VIRGINIA WATER (1877), a grandaughter of Belle of the Isle, became the ancestress of three outstanding racing sisters in New Zealand by Demosthenes: Impediment, Karo, and Pente, all born in the second decade of the twentieth century. In 1871-72 Nosworthy sold Traducer to John Walker and Lawrence Daniell, and for two seasons he stood at Aramoho, Wanganui. Daniell was the son of Captain Edward Daniell, who had been an early settler at what would become the town of Bulls, where he kept a Jersey cattle station on the upper Kaiwhara called Trelissick Farm, established a sawmill, and engineered a cart road, parts of which are still part of the Porirua Road. Lawrence Daniell served as a lieutenant in the volunteer Rangitikei Cavalry, and undoubedly took part in racing, both at Bulls (established in 1866) and at Aramaho. These were years of Maori unrest in the Wanganui, but John Walker, who built the Aramoho Hotel, kept racing alive in the district by building a racetrack next to his hotel and providing prize money for races held there. Traducer was then sold to Edward Griffith, and taken back Christchurch, where he stood for one or two seasons at his Spreydon Stud. When Griffith's Spreydon Stud was dispersed in around 1874-75, Traducer was purchased by the Middle Park Stud Company in Canterbury, where he spent the rest of his life. In 1872 Traducer's son FISHHOOK was born. He was out of Laurel (1866, by Peter Flat), one of several good fillies out of the half-bred Colonial taproot mare Sharkie (Family C - 17). Raced by Dan O'Brien (Carbine's one-time owner), the gelded FISHHOOK won over all distances, including the Forbury Handicap and Dunedin Cup in 1877, and after his sale to cricketer W.F. Neilson, the 20 furlong Dunedin Queen's Plate in 1879. Some of Laurel's sisters and half-sisters produced foals by Traducer. One, Myrtle (1864, by Nutwith), bred the Traducer daughter MAID OF THE MOUNTAIN (1871) that became the dam of a superior jumper, Dummy, winner of the Grand National Hurdles, the Grand National Steeplechase, the Great Northern Steeplechase, and just about every other significant race over fences in New Zealand. Another Sharkie daughter, Young Sharkie, produced UIRA (1872) to the cover of Traducer. One of Uira's offspring was the filly Whaitiri (1882, by Musket), winner of the Hawke's Bay Guineas and St. Leger, and later the Auckland Racing Club Handicap. Traducer's daughters in this family were all conduits through which the family continues to the present, reliably producing stakes winners in each generation. In 1873 BRIBERY, a daughter of a non-stud book mare, Ethelred (the Vesta Family), was born; in 1877 she won the CJC Great Autumn Handicap. Another mare in the Vesta Family, Molly Dod (1865, by imported Golden Grape) produced VOLTARINA (1872) by Traducer, a successful and prolific broodmare that sent this family forward through the twentieth century and bred three good winners: Recluse (1885, Hawkes Bay Cup), Prioress (1889, Takapuna Cup), and Voltigeur (1891, Fielding Cup). Another filly from the 1873 crop was the grey ELSA, from the half-bred mare Crinoline, by St. Patrick (Family C - 35). She was yet another good stayer, winner of the Easter Handicap Stakes and the ARC Handicap at Auckland, and in the Auckland stud of Owen McGee continued the female family line, which included the great New Zealand weight-for-age runner of the 1960s, Bardall. The chestnut colt DANEBURY, from W.H. Harris' Canterbury Derby winning mare Ada, a non-stud book mare (Princess Family), was also born in 1873, bred by Harris' former trainer, William Webb at Riccarton. He won the CJC Champagne Stakes and the Christchurch Plate for Webb, and for Robert Reay (TEMPLETON'S owner) won the Great Northern Derby in 1877. Some time around 1874 - 75, Traducer and most of the Mallock mares Nosworthy had purchased were installed in the multiple investor-owned Middle Park Stud, Canterbury, managed by Nosworthy, where Traducer stood at a fee of 50 guineas. A number of his foals were bred at the stud, and he was also patronized by the leading breeders in Canterbury. CHANCELLOR (1874), out of Sweetbriar, from the Rosebud family (Colonial Family C - 36), was bred at the Middle Park Stud Company, and sold to owner-trainer Harry Goodman, who would also train Traducer's son SIR MODRED. He won or placed in many good distance events, including the CJC Metropolitan Handicap and the Canterbury Jockey Club Handicap (New Zealand Cup). FOUL PLAY (1874), out of the thoroughbred mare Fancy, by Tom King (one of the horses imported on the Kensington with Traducer), captured both the Wellington Cup and the Auckland Cup in 1880. He had been bred by Mallock, and raced in partnership with Henry Lance. When Mallock died, his interest in Foul Play was purchased by William "Ready Money" Robinson, who owned the vast and lavish Cheviot station estate in north Canterbury, and FOUL PLAY was sent to Robinson's trainers Sam Higgett and James Kean at Cheviot. He was later sold to Gisborne sportsman Allan McDonald for 650 guineas. Robinson would have success with several other Traducer offspring, purchased from Middle Park Stud. TRUMP CARD (1874), bred by Riccarton owner-trainer-breeder William Webb, was out of the non-stud book Sir Hercules mare Revoke (from the non-stud bookFinesse Family); she had been a good winner in races at Nelson in the early 1860s. Trump Card, raced by prominent New Zealand owner-breeder George Stead, won the Canterbury Christchurch Plate and Champagne Stakes, the Canterbury (New Zealand) Derby, the Dunedin Derby and Queen's Plate (24 furlongs). The 1880 Canterbury meeting hero LE LOUP (1874), a son of Mermaid mentioned above, was also in this crop, as was WATERSPRITE, from Mermaid's daughter, Waterwitch. The next year NATATOR (1875), the good galloping son of Waterwitch, was born at Middle Park Stud, and in 1876 more good winners were born. The non-stud book mare Ada produced a chestnut brother to DANEBURY for William Webb, named ADAMANT (1876); he won the Invercargill Cup and the Dunedin Cup. William Walters' great racemare Yatterina (Family C - 2) produced her first Traducer foal, LIBELLER (1876), carried while she was still racing. He won the Great Northern Derby for William Walters, and the Auckland Plate and the Auckland Racing Club Handicap, among other races. Libeller's sister, ROSARINA (1877), born the next year, became one of the main conduits through which Family C - 2 descends to the present. PISCATORIUS (1876), from the thoroughbred Fanny Fisher, by Fisherman, became one of Traducer's useful sire sons; his offspring included Kupenga, winner of the Thompson Handicap at Wellington and Kingfish (1883), who set a course record in the Hawkesbury Guineas (Australia), and placed in the AJC Derby, St. Leger and Craven Plate. 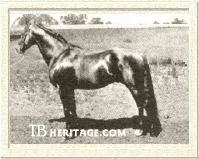 Sir Modred was champion sire in the U.S. Another Traducer foal born in 1876 was BETRAYER (1876). Bred at Middle Park Stud, he was out of the imported Cambuscan daughter Idalia. He won the CJC Champagne Stakes, and in 1879 and 1880 took the Canterbury Cup, Timaru Cup and Wanganui Cup, and later was the sire of the gelded Liberator, a winner of the Wanganui and Duenedin Cups that then became a terrific jumper, winning the 1892 Great Northern Steeplechase, and the Grand National Hurdles in both 1893 and 1894. The next year Idalia dropped Betrayer's brother, the handsome SIR MODRED (1877), winner of the Canterbury (New Zealand) Derby, the Dunedin Cup and other races in New Zealand and in Australia, at age seven, the AJC Craven Plate and Great Metropolitan Stakes. Briefly at stud in New South Wales, he was purchased by Bruce Lowe for James Ben Ali Haggin, and shipped off for stud duty at Rancho del Paso in California, where he was champion sire in the U.S. in 1894. Another Traducer-Idalia son, CHEVIOT (1879), bred at Middle Park Stud and purchased as a yearling for 520 guineas byWilliam Robinson, was trained by Bob Reay (Robinson went through many trainers as an owner) . He won the 1882 Canterbury (New Zealand) Derby, the CJC Midsummer Handicap and Craven Stakes, among other races, and also went to stud in California, where he got the terrific runner Rey el Santa Anita, winner of 62 of his 69 starts, including the 1894 American Derby, where he beat Domino. A fourth Traducer-Idalia son, IDALIUM, also ended up as a stallion in California, but failed to get single stakes winner. The 1878 Traducer crop included the bay colt SOMNUS (1878, out of the thoroughbred mare Hammock), a good juvenile that won both the Canterbury and Dunedin Champagne Stakes. As a stallion he got some good stayers, including the good race mare Dudu (1884), a three-time winner of the 14 furlong Wanganui Cup. THE DAUPHIN (1878, from the imported Rataplan daughter Maria Theresa) won the 1881 Canterbury (New Zealand) Derby Stakes for Henry Westmacott. The next year CHEVIOT (1879) would win the same race for William Robinson; between 1877 and 1882 Traducer sons won five of the six runnings of this race, and in 1885 his grandson Sonyhurst (from WATERSPRITE) took it. Traducer's last crop, born in 1879, included some of his best runners. SOMNUS' sister, SIESTA (1879) won Canterbury's Welcome Stakes for P.H. Horsford. VANGUARD (1879, from the imported Lord Lyon mare, En Evant), was an excellent stayer for William Robinson: he won ten of his 21 starts, including the New Zealand Cup and the Great Autumn Handicap at Canterbury, and the Marshall Memorial Stakes and Cup at Dunedin. He was later a good sire, notably of the weight-carrying "Black Demon" Advance (1896, Family C - 17), ranked by many as the equal to Carbine on the turf. Advance was later a moderately successful sire, his best the sprinting, weight-carrying mare Equitas (1905), later the dam of the good stayer Oratress (1915), herself the dam of top stayers and the conduit through which Colonial Family C - 20 descended to the present. The handsome colt WELCOME JACK (1879, from the thoroughbred Miss Flat, by Peter Flat) emerged in 1882-83 as a versatile, superior runner for his owners Robert Reay and trainer J. Pilbrow. He easily won the Canterbury Jockey Club Handicap (New Zealand Cup), and went on to Auckland, where he won the Auckland Cup in a canter, the Railway plate over six furlongs an hour later, the Great Northern Derby the next day, followed by the ARC Handicap (14 furlongs, beating a good field), and, on the last day of the meet, the Auckland Plate: five wins in five starts over three days. His other wins in New Zealand, over all distances and carrying great weights, included the CJC Great Autumn Handicap, the ARC Handicap a second time, the Canterbury Cup twice, and the Auckland Plate twice more. He was sent to Australia to race, without success, and was later a stallion there, his best the gelded Bob Ray, a winner of the Australian Jockey Club Derby in 1892. Traducer's offspring dominated the New Zealand turf for almost two decades, and if statistics of leading sires had been tallied for those years, he would surely had been at the top for most of them. A good number of his sons and daughters, such as Lurline and Sir Modred, also won important races in Australia. Virtually all of his prominent winners were fast and good over a distance of ground and incredibly hardy, despite his own seemingly limited scope. He did get some sire sons, but his sire line failed to breed on in any significant way beyond the second generation, even Sir Modred, who became a leading sire in the U.S.
Traducer died in 1880, and the last of his great offspring, such as Sir Modred and Welcome Jack, ran in the early '80s, successfully contesting against the earliest runners of another English import, Musket, the stallion that, in the 1880s, would replace Traducer as a superior sire, particularly of good running colts that became excellent stallions. But Traducer's daughters, producers of numerous high class runners in the '80s and '90s, were successful in establishing long-lived branches of colonial families and branches of stud book thoroughbred families that are still producing winners today. Traducer's life in New Zealand spanned a period of significant change. When he stood at Aramaho, nearby areas in the Wanganui were still the sites of skirmishes with Maoris, and his first owners, the Walker brothers, lived on their freehold and leased land in a settler hut, before their wool production and land trades provided them with the riches to travel to England to buy thoroughbreds. While he lived, immigrants began to flood into the country, and wealth, through wool export and the discovery of gold in Dunedin, fueled the development of racing and the establishment of numerous racing clubs, along with the development of professional jockeys and trainers, and owners with money to spend on importing and breeding bloodstock to compliment their increasingly elaborate English-style estates. Many of the people associated with Traducer during his early years in New Zealand passed, like him, into history, but many others, such as George Stead, owner of Traducer's sons LE LOUP and TRUMP CARD, would go on to become giants in the history of New Zealand racing, often with Traducer's grandchildren.